This is a podcast by Better Off Out, introduced by Rupert Matthews the National Campaign Manager. You can find Better Off Out on Facebook, Twitter and YouTube as well as on our website www.BetterOffOut.net. We welcome all Brexiteers and offer a wide range of campaigning materials and activities. Go to our website and check us out. 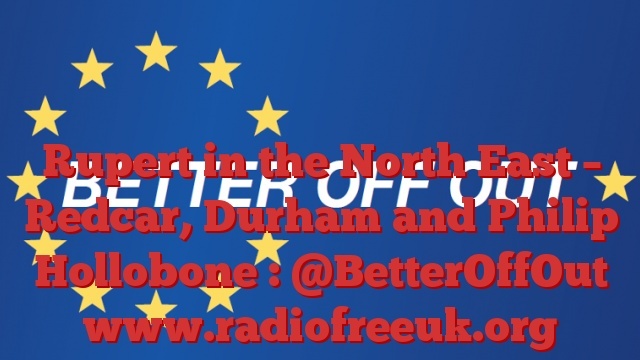 We start in Durham where we talk to Pam from Redcar about the importance of all Eurosceptics sticking together and working together in the Referendum Campaign. Still in Durham we have a look at the original copy of Magna Carta that is kept in Durham Cathedral. We look at the clause about habeas corpus, which dates back over a thousand years and learn how it has been quietly scrapped by the European Union. Speech by Philip Hollobone MP, Conservative Member of Parliament for Kettering. A cracking speech by Philip Hollobone on the subject of Brexit.